Planning a beach vacation to Argentina this winter? Pinamar is one of the most beautiful beaches in Argentina you can visit for a quite beach vacation, and it's also one of the nearest beaches you can visit from Buenos Aires. Pinamar is around 3 hours’ drive by car, though you can catch a train from Constitucion Railway Station to Pinamar which takes only 60 minutes. Once you arrive in Pinamar, you’ll be greeted by pristine surroundings, trees, charming restaurants and inns. You won’t find there the large crowds and hotel chains typical of many tourist resorts, which is great if you’re looking for a laid-back beach vacation spot in Argentina. 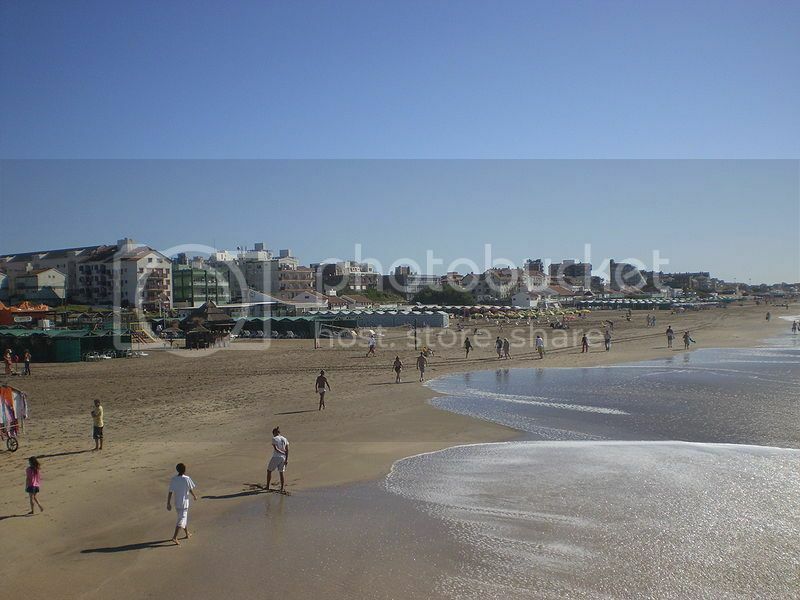 Mar del Plata is not only one of the most famous beach destinations in Argentina but also one of the largest beach resorts in the country. 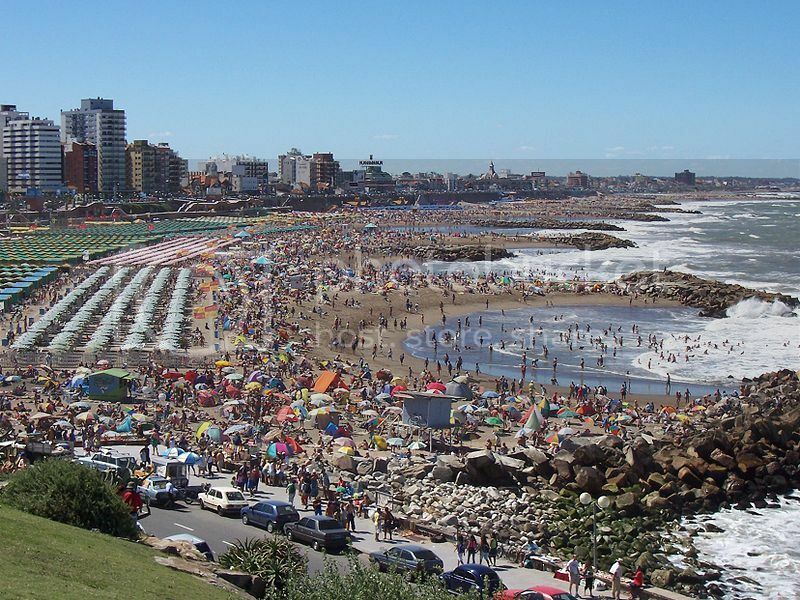 If you’re looking for a lively beach town, Mar del Plata is definitely the place to be and have a fun and an exciting beach vacation. Mar del Plata boasts lots of restaurants, tango bars, nightclubs, a casino (Casino Central), an aquarium, a water park (Aqua Sol Water Park), and a zoo park (Zoo El Paraiso). 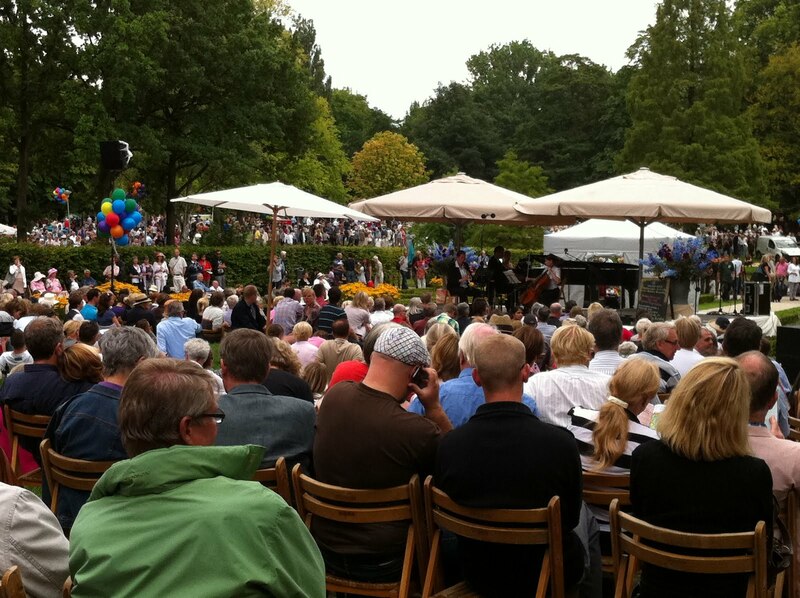 Besides these attractions, you’ll be able to enjoy other cool activities such as golfing, cruises, scuba diving, boat fishing and self-guided walking tours. In fact, exploring the town on foot is one of the best ways to marvel at Mar del Plata’s beautiful neighborhoods such as Los Troncos neighborhood (barrio) which boasts some of the grandest aristocrat mansions in Argentina. Las Grutas is located in Patagonia and it’s no doubt becoming one of the best beach vacation spots in Argentina because of its unspoiled location. The beaches in Las Grutas boast some of the purest white sand and warmest waters you'll find along the coastline of Argentina. 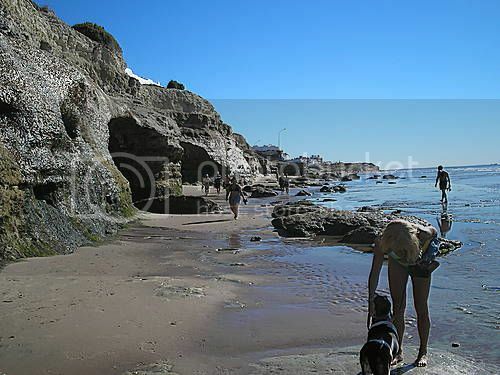 Another great thing about going to Las Grutas is that it's located not far from the town of San Antonio Oeste. There, you'll find tour companies offering excursions to Puerto Madryn, which is the getaway town to the Patagonia. Playas Doradas is another beautiful destination in Patagonia that is home to one of the top beaches in Argentina. The village of Playas Doradas is located just south of Las Grutas and boasts a stunning 2 mile stretch of sandy beach which really sparkles like gold. If you’re into water sports and beachcombing, the northernmost section of Playas Doradas is ideal for surfing at high tide, while at low tide you can enjoy nice strolls along the beach picking up seashells and other critters. 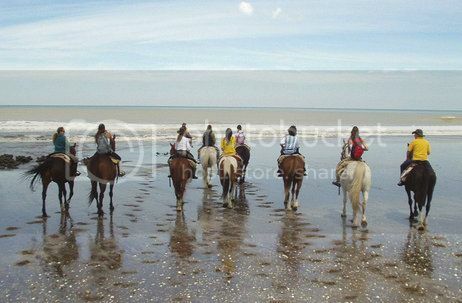 Claromeco is located in southern Argentina roughly half way between Bahia Blanca and Necochea, and it's probably one of the best places to find inexpensive beach rentals along the Argentinean coast and enjoying fun tours. Claromeco boasts lovely sand dune beaches where you can enjoy fun buggy tours, water skiing, wind-surfing, horse back riding and sport fishing. In fact, Claromeco is one of the best spots in the area for black drum fishing. 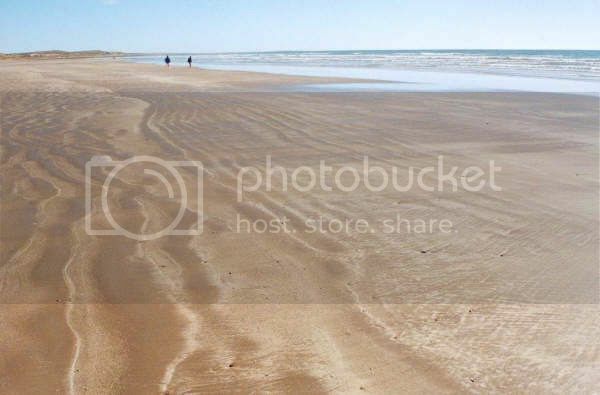 Mar Azul is located approximately between Mar del Plata and Pinamar, and even though it is the smallest of the two Mar Azul beach is one of the best beaches in Argentina for beach camping. 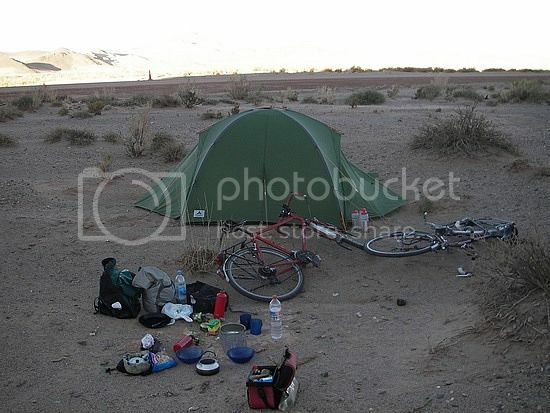 The campground area is literary yards from the water and campers are allowed to set a tent free of charge. Besides beach camping, Mar Azul is a great spot for fishing, snorkeling, and enjoying ATV tours on quads and four-wheel drive vehicles. If you’re looking to base your vacation in Buenos Aires, you’ll find that Pinamar, Mar Azul and Mar del Plata are the nearest beaches to Buenos Aires. Unfortunetly, Buenos Aires hasn't got any beaches besides river ones, which really aren't all that great. If you don’t mind traveling across the border, there are really some nice beaches in Uruguay that are about the same distance from Buenos Aires such as Punta del Este and La Paloma, which can be reached by ferry. 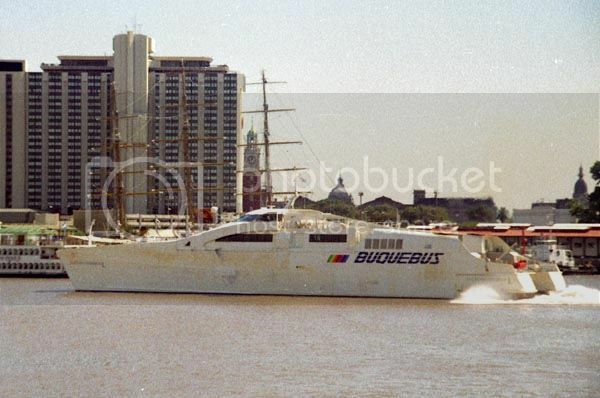 To get to Punta del Este from Buenos Aires (BA), you can either fly or catch the seacat or buquebus ferry to Punta del Este, which takes about 8 hours, and costs roughly $200. If you’re on a budget, you could alternatively get from Buenos Aires to Punta del Este via Montevideo on the “Bus de la Carrera” coach, which takes around 9 hours and costs approximately $38 (170 ARS).